Location: 1114 Budapest, Szent Gellért rakpart 1. During World War II it functioned as a military hospital for the Nazi army In an attempt to curb the power of the Catholic Church the secret police raided the church in 1951. The prior was murdered; the monks were imprisoned After the raid the church was sealed. Did you like the Cave Church? Please share your opinion below or rate it at the top! Have you got any Budapest or Cave Church related question? Please have a look at our Questions & Answers section! 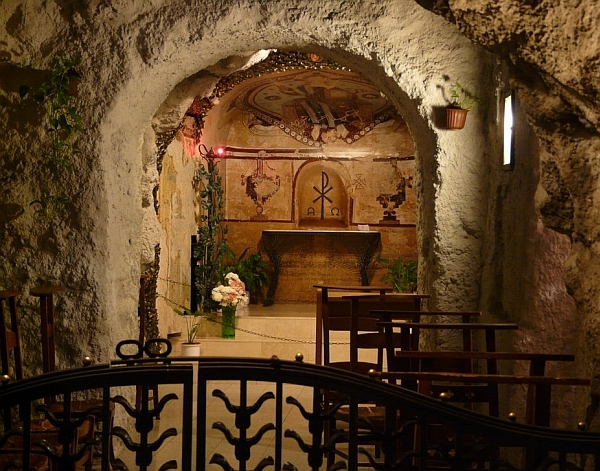 There is an easy way how to link to our Budapest guide & maps about the Cave Church, ready to use on your website. Simply copy & paste the HTML code below into your page source code. Thank you for all links to Budapest travel guide! Serb Church This 18C Orthodox church testifies to the erstwhile Serb presence in the area. Parish church of Óbuda In the Baroque style, the Parish Church of Óbuda was built for the Zichy family in the 18th Century. Church of the Servites The order of the Servites was authorised to set up in Hungary in 1686 under the reign of Léopold Ist.